Dr. Witzburg ends his speech with what it means to be a BUSM trained physician: “we advance our science with integrity and that we care for our patients with dignity, with compassion, and with respect simply because it is the right thing to do”. 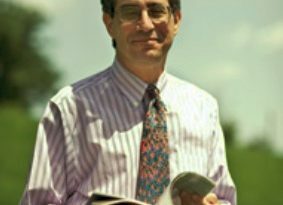 Dr. Witzburg is Professor of Medicine as well as Associate Dean and Director of Admissions at Boston University School of Medicine (BUSM)—a position he has held since 2002. 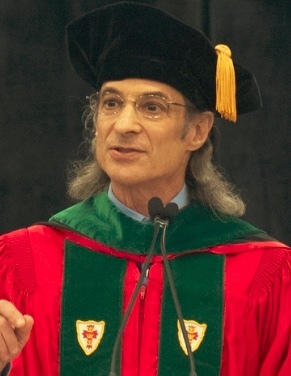 A 1973 graduate of Tufts University, Dr Witzburg received his M.D. from Boston University School of Medicine in 1977. He completed his internship, residency and chief residency in Medicine at Boston City Hospital, and is board certified in Internal Medicine and Geriatrics. Dr. Witzburg has served the Boston community as Training Program Director and Associate Chief of Medicine at Boston City Hospital for 12 years and then as Associate Chief Medical Officer at Boston Medical Center and as the first Medical Director of the Boston Medical Center HealthNet Plan. He was the first Chief of the Section of Community Medicine at Boston Medical Center and Boston University School of Medicine, serving in that capacity and as Vice Chair of the Department of Medicine from 1997-2002. Dr. Witzburg was also a founder, President, and Medical Director of the Neighborhood Health Plan, a community health center-based HMO focused on enhancing the quality and scope of health care services available to vulnerable populations.